People often assume that the warranties that come with their new flooring will provide adequate protection should something go wrong. However -- as many homeowners have learned the hard way -- the reality is often different. Manufacturers provide warranties because consumers expect them. Warranties also help consumers differentiate one brand of flooring from another. However, the presence of a warranty does not mean that the manufacturer will replace your floor at any time for any reason. In fact, the average warranty includes quite a bit of fine print that might surprise you. For example, did you know that flooring warranties typically exclude floors that were installed with visible defects? Beyond the fine print, why do manufacturers often include two warranties for the same product? Isn't a warranty a warranty? The truth is that warranties generally protect consumers in a few very specific circumstances -- but not from everything that could happen to a floor. This article will help you to understand what warranties do -- and do not -- cover, and how to get the most of the warranty that comes with your floor. Nearly every flooring manufacturer offers warranties on its products that according to the many experts we spoke to for this story are primarily used by the company to differentiate its products in the marketplace. While most offer 15- to 25-year warranties, it is not unusual to find manufacturers offering lifetime warranties in order to entice consumers toward their products. It is also common for manufacturers to offer an additional limited six-month to one-year warranty against any manufacturing defects in their products. However, if you look at the fine print, these warranties also often state that products installed with visible defects will not be covered. As a consumer, how are you supposed to understand the difference between a manufacturing defect that is covered versus a visible manufacturing defect that is not? Also, what is the difference in coverage between the longer 25-year warranties and the six-month to one-year limited warranties on manufacturer's defects that are also included? Wouldn't they cover the same issues? The fact is that there are real differences between these warranties as well as the guarantees issued by flooring installers for their work, which also tend to last for a year. Simply stated, the shorter manufacturer warranties and installer guarantees are where the meat of matter is. They offer the most stringent protections and though they are shorter in duration, they generally cover far more than the longer 15-year, 25-year and lifetime warranties offered by manufacturers. It gets somewhat confusing because all three are offered in conjunction with each other; plus they are included in the purchase price and take affect at the time you purchase the floor. However, the longer warranties are generally more for show than for much else. In fact, according to Gary Hammond, longtime flooring professional and employee of Cadieux Flooring, many long-term warranties are issued with the expectation that most people will redecorate or move every seven to ten years, which is the national average. Since warranties also tend to be non-transferable from one homeowner to the next, the effective life of the warranty is only as long as the homeowner keeps the house. Christopher Davis, president and CEO of the World Floor Covering Association, echoes Hammond's comments saying, "There is an assumption for the most part that you will not cash in on a warranty; it is more of a sale point that is there to give peace of mind. People will likely move or forget where they got the floor after a few years and so on, and manufacturers know these things will happen and that there will be a certain number of problems down the road where no one will cash in on it because they don't know where they got it." "This is not a devious thing," he adds, "just the nature of the product." Then there is Gary Verhey, president and CEO of the Floor Installation Association of North America, who says that there have been surveys and other studies done showing that the general public does not believe they will have any use for a flooring warranty after seven years. "There is a very low number of people that will actually use a warranty," he says. "If there are any issues that come up at all they will likely come up immediately or within six months or so. Past that amount of time, people likely won't have any problem." We should be clear, though, that the primary reason why customers will not likely have an issue with a long-term warranty is twofold. The first is that most floors manufactured by reputable manufacturers are designed to last. Hammond notes that in his more than 25 years in the flooring business, he has had only two customers come in with a claim that a floor failed due to a manufacturing issue more than a year after it was installed. The second is that most of the issues Hammond has had to deal with, and his comments are reflected by those of all the people we spoke with for this story, are due to improper installation, improper preparation of the floor ahead of time, or placing a flooring type, such as hardwoods, in an improper environment such as an area prone to moisture. These factors also mean that most issues with a floor will arise within the first year to six months. Also, long-term flooring contracts, those that are 15 or more years in duration, are limited in what they will cover. According to Bill Dearing, president of the North American Laminate Flooring Association, there are three primary issues that all flooring warranties will cover: fade, stain, and wear. While there is great variety between warranties offered by manufacturers and how they define these elements, Dearing says that these three general areas tend to be rather consistent. For example, fade generally refers to loss of color or finish due to exposure to direct sunlight. 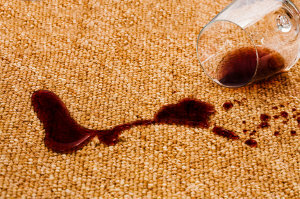 Stain means that the flooring will not be stained when it comes into contact with ordinary household products such as cleaners, spilled grape juice and etc. 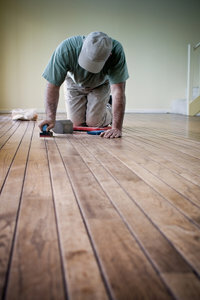 Wear is generally defined as a wearing down of the top coat of the flooring to a predefined degree. There are also a number of ways that a homeowner could accidentally void the warranty. For example, if you intend to install the floor yourself, you may void the warranty. Davis says that a number of manufacturers require homeowners to use a certified contractor to handle installation of their products. "They certify installers to make sure they know how to do it right and in order for the warranty to be enforced," he says. However, there is some variation in this rule; Dearing says that laminate flooring products covered by his organization generally can be self-installed. "Normally, you are very well protected whether it is a self or professional install," he says. "However, professional is the best because they have training and can produce current membership cards and all the major manufacturers have schools, so if you see these credentials you can feel good about that person." To confuse the issue a bit more, Hammond notes that the manufacturer certifications may not be all they are advertised to be. He says that from his experience, merely paying the attendance fee and showing up are enough for an individual to be certified by a manufacturer. He also notes that it is in the manufacturer's interest to certify as many installers as they can, and that ultimately, the manufacturer is not on the hook if the installer messes up the job -- the installer is. Instead, he suggests that consumers seek out established and credible retailers in order to avoid potential problems. "We typically will examine materials when they arrive here and send any products with defects back to the manufacturer before they even get to anybody's house," says Hammond. "The big thing is to deal with a reputable company that you know will come back and take care of a problem if there is a problem." The next most common way a warranty can be voided is to not follow the proper cleaning guidance listed in the warranty. Dearing and Davis both say that it is important to understand the cleaning chemicals that should not be used for the type of floor you have and that all floors other than carpets should be swept or cleaned with a vacuum that does not have a beater bar. Evidence of cleaning methods that are inconsistent with the warranty can be noticed by inspectors and cause the manufacturer to void the warranty. So then, what if you drop something heavy on the floor and it breaks? Or what if you receive an excessive amount of rain and humidity one summer and your wood or laminate floor warps or cracks? According to the folks we talked to for this story, you are out of luck if you expect the warranty to cover this kind of damage. If any of these situations occur, you as the homeowner are liable for the damage unless it is covered under your homeowner's policy. As noted above, manufacturers offer short-term -- generally six months to one year -- warranties against manufacturer defects in their products. These warranties are generally coupled with guarantees from installers that last a similar amount of time. Combined, these warranties and guarantees offer consumers a considerable amount of protection against the possibility of materials arriving to your home damaged or being improperly installed. However, it is important to understand what each will or will not cover. Manufacturers short-term warranties against manufacturing defects only cover defects that cannot be seen (e.g. are not visible) at the time the floor is installed. These kinds of defects include hairline cracks that widen after installation, top coatings that quickly fade or peel up after installation, and a handful of related issues. This visibility limitation is important to note because it means that the installer is on the hook for any defects that should have been seen. They are quite literally the last quality inspector for the manufacturer even though they are not paid by or work for the manufacturer. For example, if the tongue and groove used to fit pieces together is improperly gouged or routed, the facing or top layer of material isn't properly applied, the finish (particularly in wood products) is improperly finished or cracked, pieces are not cut square and so on, the manufacturer says the installer should notice these defects during installation and will not cover them. Installers hate this arrangement. However, there really isn't anything they can do about it says Verhey. "Regretfully the final inspection should be done at the factory," he says, "and installers will argue this point, but in the final analysis: is the floor in proper order to receive the flooring and is the material ready to be installed? This is the responsibility of the installer and this person is the last set of eyes on the product. They don't like that responsibility, but that is the fact." Verhey adds that in his experience the amount of defective product -- visually or otherwise -- is very small and that in these instances manufacturers are quick to replace or provide credit for the defective materials. Visible manufacturer defects are not the only issues installers are accountable for. They also must make sure the sub-floor has been properly prepared, the materials are a good choice for the environment they are being installed in, the materials are properly adhered or nailed to the subsurface, seams between pieces are consistent and will not shift, and grouting between tiles is done properly. Should any of these issues not be properly addressed, the installer typically is on the hook for the cost of materials and labor. In the case of flooring, says Hammond, it is very likely that material costs are greater than labor costs, so a failed floor is not a happy prospect for an installer. Given the cost of materials, it is also possible for homeowners to find themselves dealing with a failed floor while the installer and manufacturer argue over who is responsible. According to Davis, the typical process in most instances where a consumer has filed a complaint is that an inspector will be sent by the manufacturer to check out the floor and assess if it is a manufacturer defect or improper installation. Generally, he says, the difference between these two issues is fairly clear and either the manufacturer or installer will step up to rectify the situation. However, there are also instances, he says, where customers really don't care whose fault it is and simply want their floor fixed and will approach the retail outlet where they bought the floor. Most of the time, the retailer will handle this fix in order to keep the customer happy and maintain their business. The retailer will then work to resolve the issue between the manufacturer or installer on their own. "Follow the check," says Davis. "If you bought the floor from a retailer then you should really go back to the business you wrote the check to. If it is a bricks-and-mortar retailer that has been around for a while, they will likely be there when a problem develops and these people will go to bat for you because they want to keep your business." Though these warranties may seem more like fluff than substance, they areincluded in the price of materials, so you don't pay extra for one! And, they can come in handy should a problem develop that is covered by the manufacturer. To begin, though, all of the people we spoke with said it is vitally important to keep all documentation related to your floor, especially the receipt. "Always keep the receipt and know where it is," says Dearing. 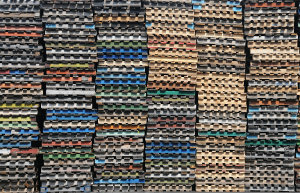 "Take this back to the retailer where you purchased the flooring and then that person will use that information -- type of products, manufacturer, when they were bought and so on -- to contact the manufacturer or wholesale distributor. The manufacturer will then send a certified inspector to do an analysis of the floor." Additionally, you should keep all of the information, including the receipt that you received from the installer. This is important for two reasons: first if the manufacturer has to replace the floor, warranties generally require that they also pay for the labor. The other reason is if the manufacturer says the problem is caused by the installer, you can follow up with that person. Beyond the fact that a warranty could cover an issue down the road and pay for the labor to resolve that issue, the fact that manufacturers use these warranties as a marketing tool can help consumers make better purchasing decisions. Dearing says that the length of time a warranty will cover a product is an important item to consider and in terms of laminate floors he recommends not selecting products with warranties of 25 years or less. Additionally, he says that a warranty that fails to cover the three primary areas of fade, stain and wear, that last less than 25 years, and are for products that seem unbelievable inexpensive should be a warning sign. "When it's 99 cents or below you really have to check it out," he says. "If it looks too good to be true pricewise, then it probably is." Also, if a retailer or manufacturer charges extra for a standard warranty, consumers should avoid these ploys. "Most reputable manufacturers include the warranty with the product," says Dearing. "If they don't, that should be a huge warning sign that the selling process may not be right. They all should cover wear, fade and stain and each should clearly spell out what is meant by each term." Davis adds that it probably isn't a good idea to shop for flooring online unless you are buying from a manufacturer with a recognizable brand name. "Products purchased over the Internet tend to be poorly made with the boxes showing up unbound or improperly bent so that the product is either bent or broken and there isn't really a lot you can do about it," he says. "Sometimes people may get lucky, but, boy, from the level of complaints we've had, it seems to be a problem." Lastly, the warranty is a good resource to help you understand how to take care of your new floor and to understand the types of products and activities that could damage the materials. Though it seems that long-term flooring warranties are not as valuable as manufacturers claim, they are free and will provide at least some protection. They also can be used to assess the integrity of not only the manufacturer, but also the retailer and installer you intend to work with for your project. That said, where you need to be diligent, and the resources that will provide the greatest protection, are the manufacturer's short-term warranty against defects and the installer's guarantee. As noted above, these are of short duration and most of the problems you might see will occur within the first six months to a year. With these protections, as well as making sure you work with a reliable retailer, you should be good to go on your project.